MONMOUTH - Joseph B. Dehetre, 38, of Poland, died unexpectedly in Monmouth due to complications of heart disease, on Friday, Feb. 1, 2019. 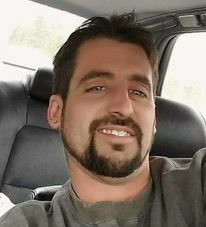 MONMOUTH – Joseph B. Dehetre, 38, of Poland, died unexpectedly in Monmouth due to complications of heart disease, on Friday, Feb. 1, 2019. Born in Lewiston on Aug. 1, 1980, he was the son of Joseph R. Dehetre and Pamela Carle. Joe was educated in local schools. He had a life-long love of cars, street rods, planes, and motorcycles, and grew up learning how to repair and restore them at the side of his father, “Big Joe.” Always very mechanically inclined, he learned everything he could, from minor repairs to bodywork and paint. He turned this hobby into a business, owning and operating His & Hers Enterprise, in Monmouth, for several years. Survivors include his wife, the former Shelly Ouellette of Auburn; his father and stepmother, Joseph and Patty Dehetre of Livermore, his mother, Pamela Carle Caldwell of Poland; a son, Blaine Dehetre of Auburn, two stepchildren, Caleb and Tanner Barker of Lewiston; a brother, Marc Dehetre of Poland, a stepsister, Amy Hood of Georgia; and two aunts, Kathy Frost of Lewiston and Jackie Lemm of Poland. Also surviving are several cousins, including Bradi Frost. He was predeceased by his grandparents, whom he adored, Joseph and Charolette Dehetre, and Jack and Barbara Carle. A Celebration of Life service will be held at the Albert & Burpee Funeral Home, 253 Pine Street, Lewiston, on Saturday, from 5-8 p.m. with prayers and remembrances at 8 p.m. Interment will be in the spring, North Auburn Cemetery. Donations may be made in his memory to a trust fund for his son Blaine, at Plumfund, Condolences, donations, and a video tribute may be found online at www.albert-burpee.com.